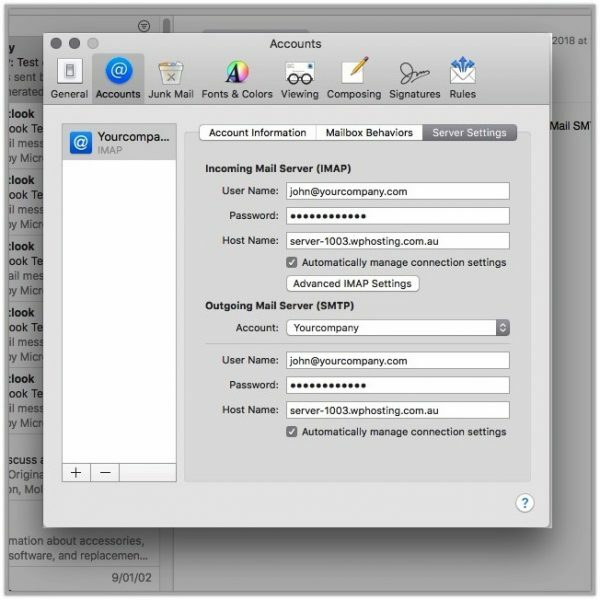 This article will describe the setup process for when you wish to configure the built-in mail client ‘Mail’ on Mac OS with a new email account. This email you will have already created – if not then check out this article first to complete that step. If you are missing any of the information listed above, resolve that first prior to continuing any further. 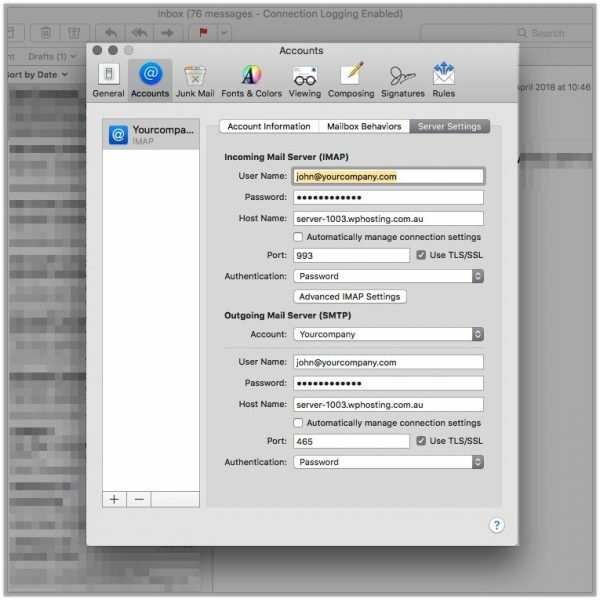 Without the correct password you won’t get very far, so to ensure you’re on the right track navigate to the web-mail for the account you’re configuring. If the new email account is john@example.com then visit http://example.com/webmail to bring up the server’s web-mail interface and test your password there. If the password is incorrect then reset it through cPanel, and we have a guide for that here. You must supplement example.com for your domain name for this to work. Follow along with the video below to set up your new mailbox. Feel free to pause and rewind as necessary if you need to review a step in more detail. 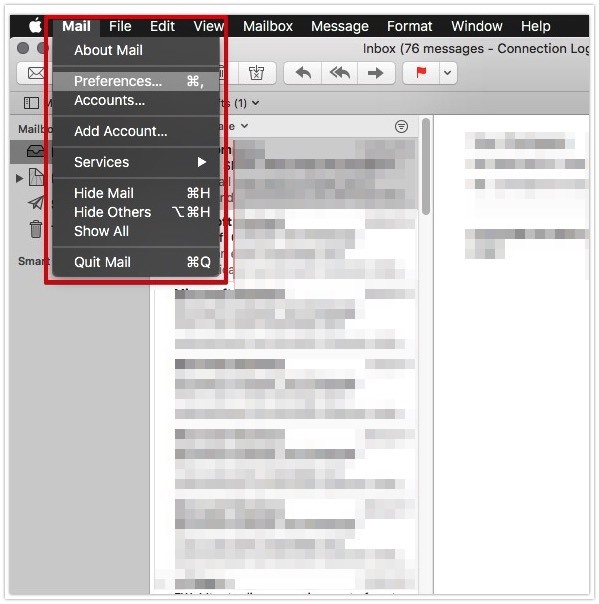 With the Mail application open, from the menu bar choose Mail then Preferences…. Next select Accounts from the preferences ribbon, and select the mail account you wish to modify. With that selected, select the tab Server Settings which is usually the 3rd, after Account Information and Mailbox Behaviours. This screen will show you your current server settings, including the Host Name, Port and Authentication method (should always be ‘Password’). If you have Automatically manage connection settings ticked, be sure to un-tick this option and choose your port numbers according to the values below.